Our Mother of Perpetual Help Parish extends a warm welcome to you, wants you to know that you are welcome here. Our hope is that you will find a home in our community of faith. Registering to become a member is easy. 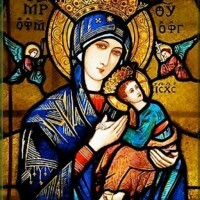 to Our Mother of Perpetual Help Parish, 13500 Oak Park Blvd, Oak Park, MI 48237 (attn: Fran Foote), in person or in the collection basket at any of the weekend Masses. Remember our volunteers who serve at our Welcome Desk, located in our Gathering Area, are available after each Mass on the weekends to answer questions you might have.